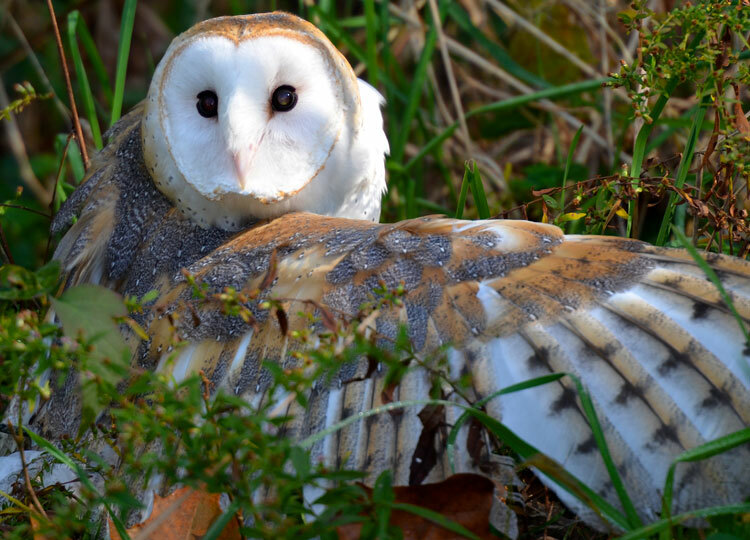 "Storm," the Barn Owl, is a teaching owl at RAPTOR, Inc. in Cincinnati, Ohio. RAPTOR is a non-profit organization committed to the preservation of birds of prey. RAPTOR members rehabilitate injured birds of prey until they can be released back into the wild. Unfortunately, some have permanent damage and can't hunt or survive on their own, so they stay on at RAPTOR as educational birds. Last autumn I photographed many of their resident birds, and Storm was one of them. Storm was admitted to RAPTOR on June 26, 2007 as a nestling with a severe left wing soft tissue wound. 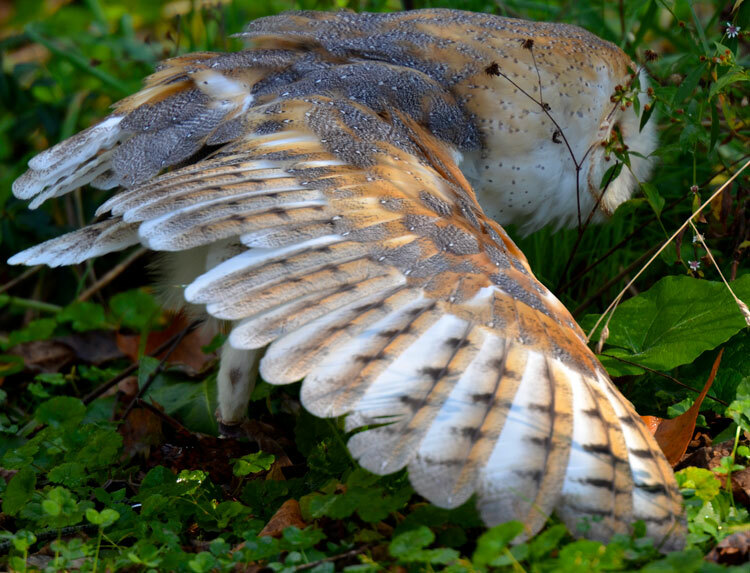 The owl's left wing had been caught in the seam of a barn and was not able to be saved. Since then, Storm has become one of the most photographed and beloved of their educational birds (click here for all past RAPTOR, Inc. posts). 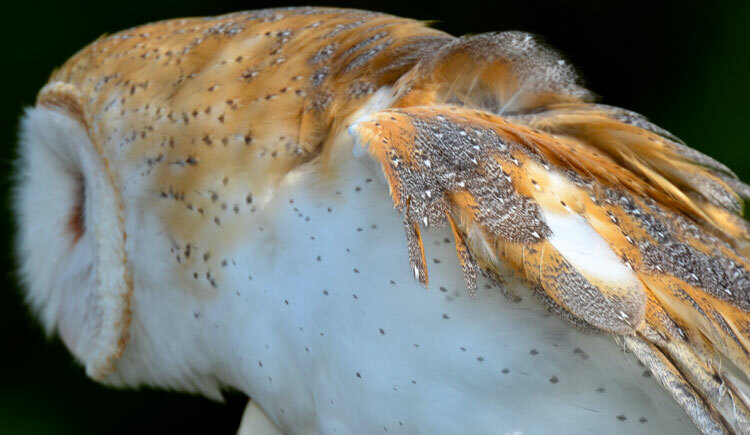 Barn Owl feathers have beautiful cryptic colors and patterns to help camouflage it. ...a profile shot of Storm the Barn Owl with a bit of "eyeshine" triggered by the morning sunlight reflecting off the tapetum lucidum, a reflective layer of cells behind the retina that helps owls and other nocturnal animals see at night (click here for more about eyeshine and the tapetum lucidum). The silent flight of nocturnal owls has intrigued humans forever. 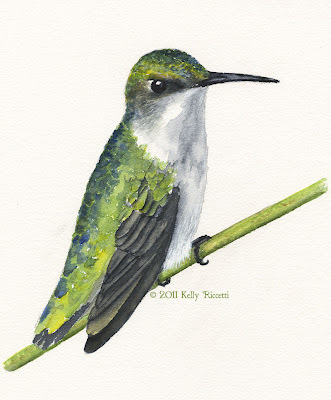 It's achieved because of a unique adaptation to the trailing feathers on the back end of the wing. 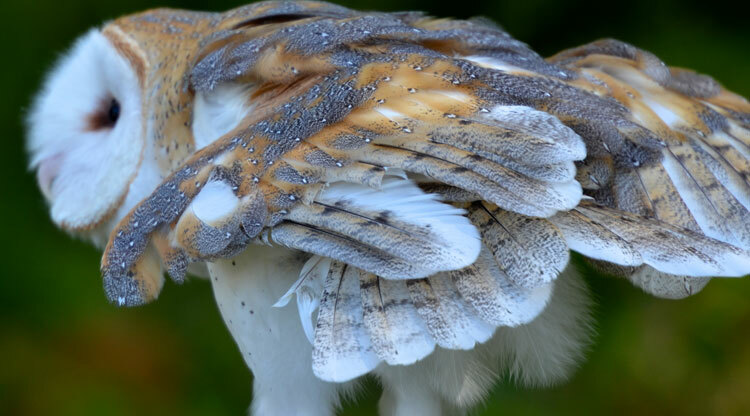 The leading edge (primary feathers) are serrated, which helps with stability, but the trailing feathers are fringed and tattered and account for the silence by breaking up the sound waves generated as air flows over the top of the wings and forms downstream wakes (source: National Geographic, "Owls' Silent Flight May Inspire Quiet Aircraft Tech," by John Roach. Click here for the complete article). These large, forward facing eyes allow for good stereoscopic vision, which helps owls judge distances. 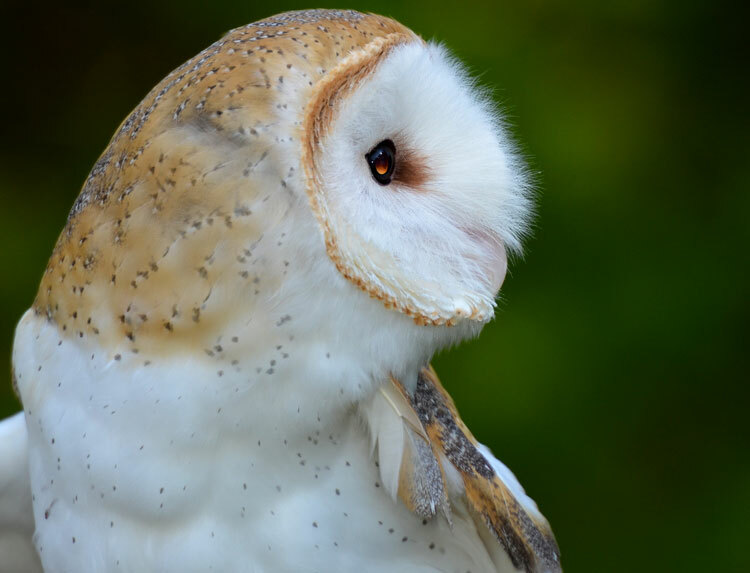 Owls have the most forward facing eyes of all birds...and the flat face allows the eyes to be spaced as widely apart as possible to increase the stereoscopic effect. It's easy to see where the nickname, "Old Flatface" came from. 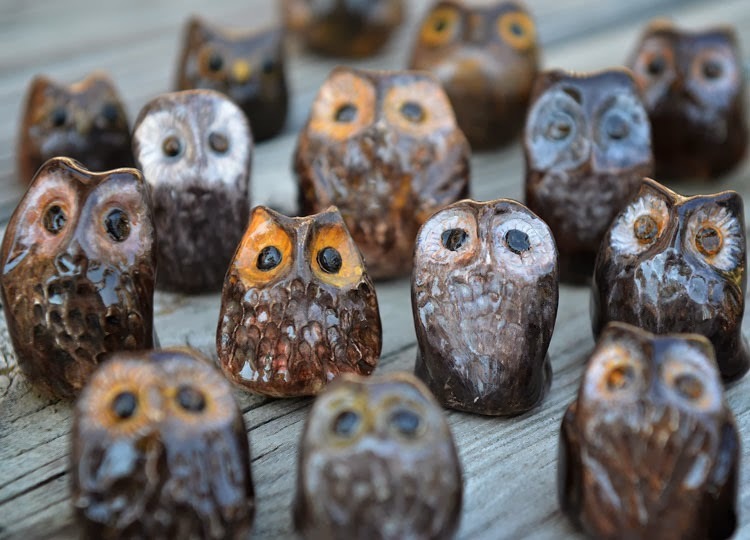 For more on owl eyesight, click here. 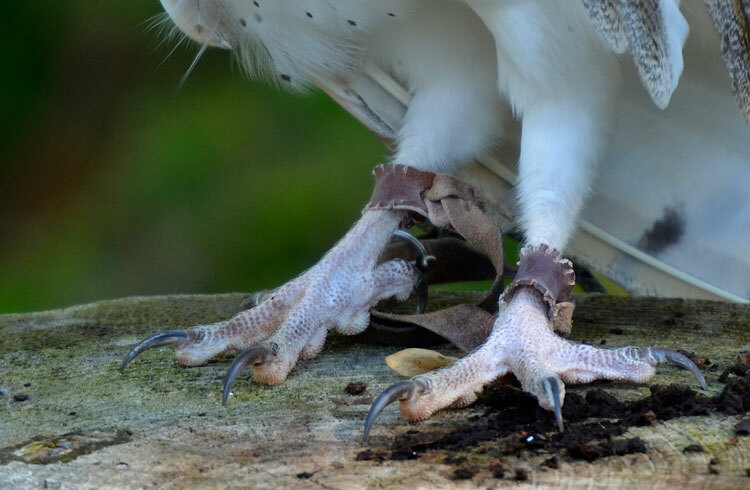 The strong, long and sharp talons on owls' and other raptors' feet can do a lot of damage and set them apart from other birds. Birds of prey have a locking mechanism that keeps the toes locked around their prey without having to use muscles to remain contracted. Click here for more specifics on owls' talons. such a beauty! that is an eerie, haunting painting, but i like it, too! 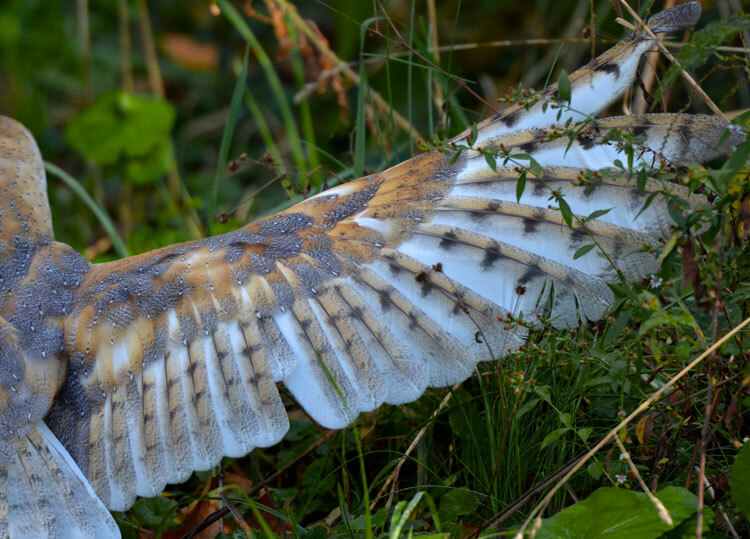 What a great close up picture of the owl thank you for permission to use your owl pictures. I am always looking for inspiration. Storm is such a beautiful owl. Excellent pictures of her Kelly. And Mary is such a talented painter. I really, really like that painting! I'd love to walk right into and look around. Your Owl photos are fabulous. Such a beautiful bird. The painting is beautiful! I really enjoyed the photo series of Storm as well, Kelly. Outstanding pictures....Such a beautiful bird! Kelly, I am intrigued by the purplish dotted patterns on Storm's wings. They almost seem like random spotting. Is that just a color spot at the tips of some of the wing feathers? What a beautiful post, Storm is wonderful and I enjoyed the painting. Thanks for sharing the painting, lots going on there to be sure. That owl is beautiful. Amazing feather patterns. What a great opportunity RAPTOR provides to be able to study these birds up close, something you would never have the chance to do in the wild. Very interesting post! Amazing detail in these photos! Learned a bit more about owls here, thanks. 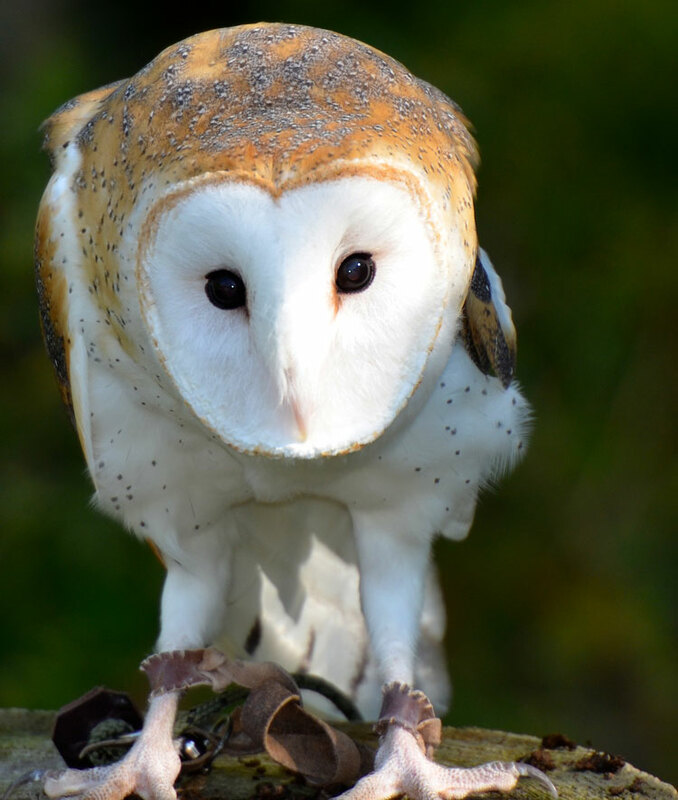 You know my first Barn Owl was seen along a driveway to a house over looking the Ohio River in Cincy, many years ago. A very strong and dramatic painting Kelly. Such love photos as well of my favourite Owl. Storm is so beautiful! How nice that he got put in a painting by a very talented artist. That's one amazing animal, Kelly, and I haven't even read the fine print (links) yet. Your photos do wonders with contrasting extremely sharp focus against softer, somewhat unfocused features. I think that makes the shots better as art, AND it highlights the owl's beauty. You have the most wonderful art and photography! Kelly, your photos of Storm are beautiful as can be!!! thank you also for introducing us to this wonderful artist. Amazing images, Kelly. Such delicate patterns and colors! Such beautiful images of Storm! A stunning owl! ...thank you everyone! You are always so kind. Photograph Storm is a wonderful experience. Her feathers are so pretty. The soft caramels and whites blend perfectly, and she puts on quite a show by stretching out her good wing. Owls are among my favorite birds (maybe because I'm a night owl myself), and seeing one up close is such a thrill. 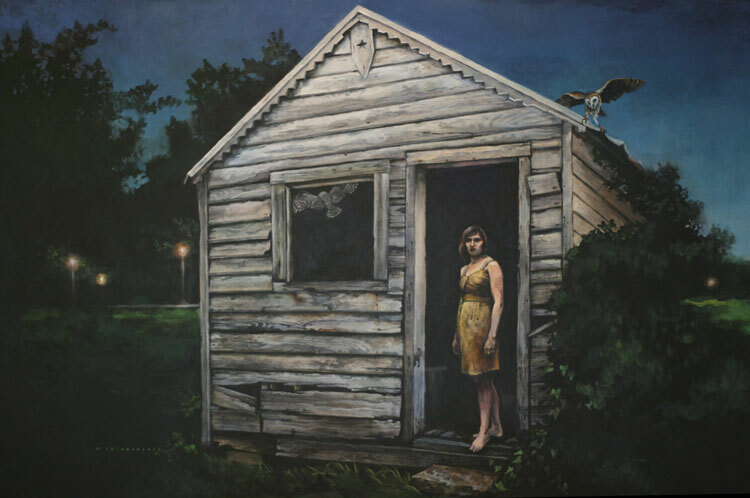 Mary Chiaramonte's paintings are so interesting. I love how she includes nature in her artwork. I'm so happy she picked Storm as a subject in one of her paintings! Be sure to visit her site. Storm is a lucky girl and you are a lucky one too to be able to get a chance to photograph her. Thank you for doing what you do and sharing these beautiful pictures! Btw Kelly, have you ever had the chance to photograph a Screech Owl? We had one living in a tree outside my kids bedrooms when they were young, ages 4 & 6 and it spooked them with its call at night. Later, I brought them to an owl show and when they brought out the little guy we giggled and giggled when seeing how small it was and that it wasn't ghostly at all! One came back just this summer and my son took a few days to perfect its call but he could never get the elusive bird to respond back. Sublime....yes, I have. 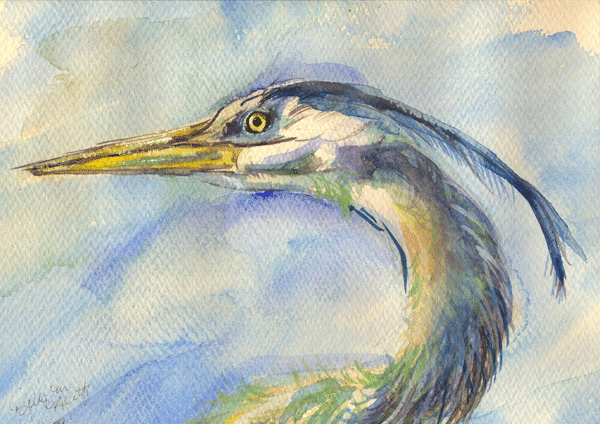 I've painted one too. They are so cute. I love the sounds they make too. Nothing at all like a screech!! :-) You're so lucky one lived outside your kids' window!! That bumblebee is the bomb! Holy Cow...a Cicada Killer Wasp!